Never forget that the medical marijuana movement, like the plant itself, is a hearty survivor. Twenty-three hours ago from the Facebook page of embattled Richmond dispensary operator, Ken Estes: "Just in case you haven't heard, The GDP Collective is back!! We are pleased to announce that we are once again open in Richmond at 2924 Hilltop Mall Road. After a long struggle to re-open, we look forward to serving our patients needs with the only the BEST medicinal strains." That's some pretty great news for Estes and GDP Collective fans. The shop was closed down by the City of Richmond in a purge of all city dispensaries beginning in 2010. Richmond's City Council has since changed its mind, and in March decided to permit and tax up to six dispensaries. Green Remedy was the first to open. GDP Collective re-opened Thursday, August 23, with 140 patients the first day. The second day, "the line was out the door," GDP's manager wrote online. 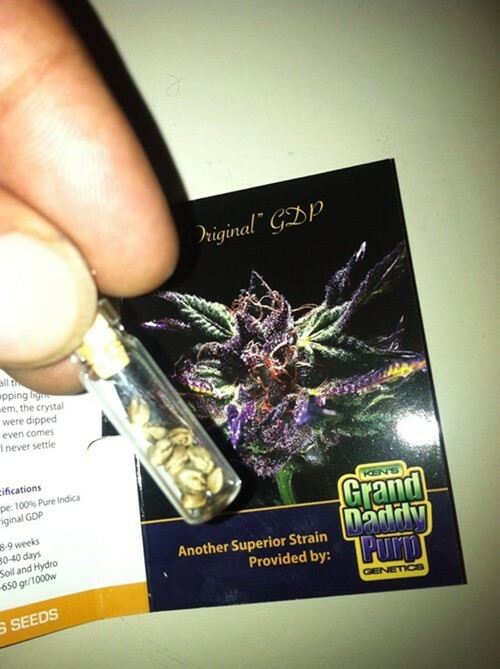 GDP Collective is the only authorized provider of Ken's GDP, Ken's Kush, and Bay '11 seeds, Estes writes. Those strains have won numerous Cannabis Cups, supplying the Bay Area with a killer cut of the extremely beloved hybrid. Estes - who uses a wheelchair - is a "father, philanthropist and American entrepreneur" who hasn't had a smooth ride in the medical marijuana scene. Before being closed down by the City of Richmond, he faced past troubles operating a dispensary in Berkeley. "I am just a disabled single father of four children, trying my best to care for my family as well as the patients in my community who are suffering from health afflictions, which as you can imagine, is a challenge in my condition," Estes wrote us. "We have been in full compliance and cooperation with the city and are happy to be able to serve our patients again. However, nobody is more happy than the patients themselves." You just can't keep some good grapes down.